Back to why I’m writing this post. While I don’t prescribe to a set curriculum, this doesn’t mean I don’t value curricula content that is put out there, particularly content that centers Black and Latinx culture since this reflects our home culture. While I think it’s important my children are allowed the freedom to learn via their interests, I also believe it’s important I provide them with as many opportunities to learn about themselves and our ancestral background. One of my goals this month is to sit with my boys and look at some of the African-based online course offerings that are available. Together we will select courses to take and learn together. 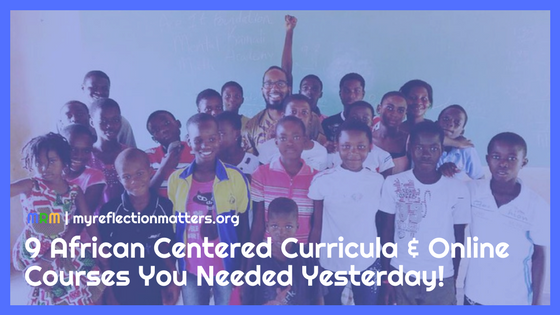 I figured you all would be interested in knowing what types of African-based curriculum and online courses are actually out there, so, of course, I am sharing that list with you all below. Whether your children are home educated or attend schools, the nine resources below are useful for both parents and teachers to supplement learning or to adopt as their core instructional curriculum. 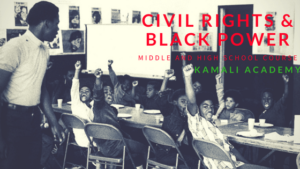 Kamali Academy offers Afrikan centered online curriculum and courses for pk-8 students. They even offer coaching for homeschoolers! 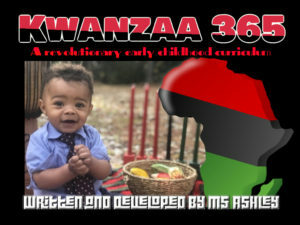 Kwanzaa 365: A Revolutionary Early Childhood Curriculum is a comprehensive, year long guide to revolutionary teachings suitable for children 3-8 years old. In this curriculum, you’ll be able to explore elements of Kwanzaa and its principles and then apply them to real world surroundings. Children will discover fun ways to learn about advocacy, social engagement and our history. In addition to principle teachings, you will be given hands on activity ideas for a fun exploration of the motherland: Africa. Decolonizing Education Publishing is the brainchild of Culturally Responsive Educators of the African Diaspora and My Reflection Matters (that’s me, ya’ll…lol). While we are a new company, one of the new services we offer are workshops for educators and parents in search of guidance and ideas around developing lessons and activities that speak to Black, revolutionary history. 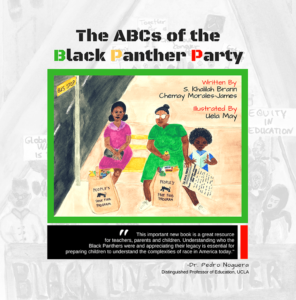 Inspired by our new book, The ABCs of the Black Panther Party, we felt it wasn’t enough to create a book that shares critical history our children are not taught in school, but that it is just as important to provide support to the adults who want to utilize our tool in their home and school classrooms. Sankofa Science Solutions provides opportunities of laboratory and in-the-field learning that activates within each child the ability to be innovative and creative in the fields of STEM, utilizing African Science that is relevant to the 21st Century Learner. 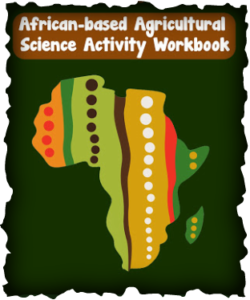 They also have for sale an African-based agricultural science activity workbook for educators and parents to use with their children. Mamademics is the brainchild of Danielle Slaughter, a mommy blogger who has also developed Black History is American History— a mini monthly curriculum that teaches children (and their parents) about Black History all year long. The 2017 curriculum is geared towards children 6 and under. The 6 and under curriculum includes 52 lessons with accompanying activities and vocabulary lists for each month. Monthly reading lists for parents and children are included. 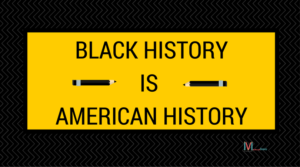 The Africentric Eye shares African centered educational info. for parents and educators, particularly those in the Toronto area. 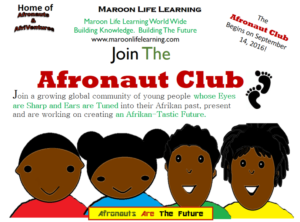 Maroon Life Learning is a company created by husband and wife team Njeri and Jeffrey Nembhard who homeschool their two children. The MLL Learning Series and books are an attempt to fill in the gap of limited or non-existent learning tools that reflect images of folks from the African Diaspora. Those who know me well know I’m a big fan of Akilah S. Richards! While she doesn’t offer classes specifically for youth, she does have online classes for parents and educators interested in learning about unschooling and raising liberated Black and Brown children. She also has an amazing podcast that I listen to regularly where she interviews folks from the self-directed education world. Starting in March, My Reflection Matters will begin to offer our first set of classes for homeschoolers for FREE thanks to a small grant I secured through Connecticut Community Foundation. The series is called My Reflection Matters in Art. 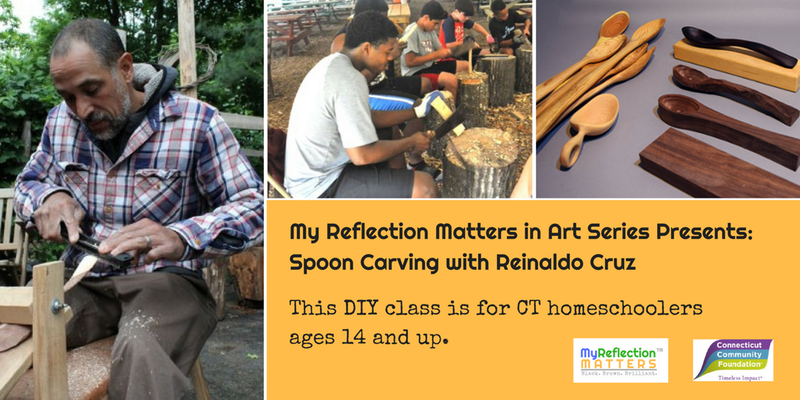 For now, the two classes in our series (Painting with Uela May and Spoon Carving with Reinaldo Cruz) will be offered in person for CT residents only. However, we hope in the near future to be able to offer a series of online courses. My goal through this work is to provide learning experiences for homeschoolers that intentionally center the cultural attributes, traditions, lost indigenous practices, and histories of Black & Brown communities. I believe when children see themselves represented positively in their daily learning experiences, this strengthens their sense of self and pride in who they are. I also believe when children are provided opportunities to learn about people and cultures that differ from their own, they are able to develop an appreciation for humanity, and, with increased exposure, learn that differencesequate with normalcy. If you are a homeschooler in CT looking to connect with culturally and linguistically diverse families who home educate, feel free to join our facebook group, My Reflection Matters in CT Home Education, and register for one or both of our FREE classes coming this spring.